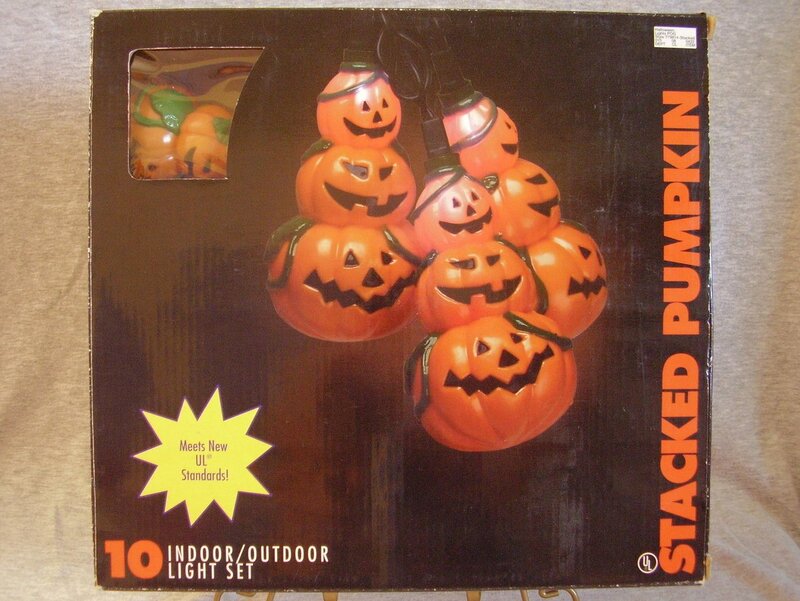 A boxed set of Halloween Stacked Pumpkin mini lights made in 1998. 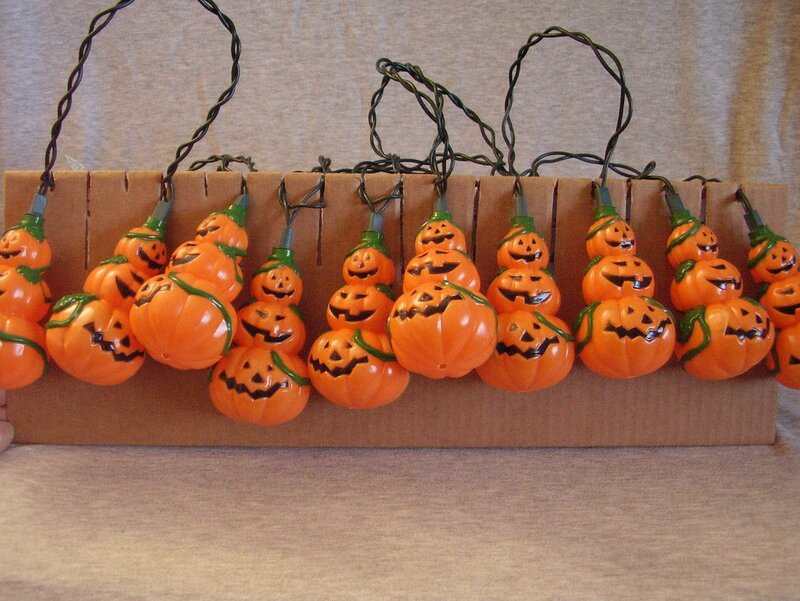 The 11 foot strand hold 10 of the hard plastic pumpkins. The stack of pumpkins snap on to the mini lights. 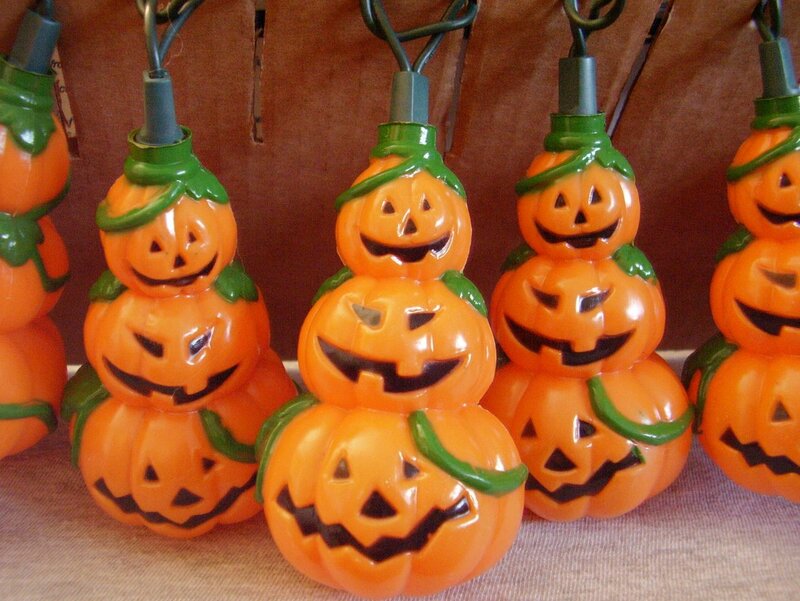 A boxed set of Halloween Stacked Pumpkin mini lights made in 1998. 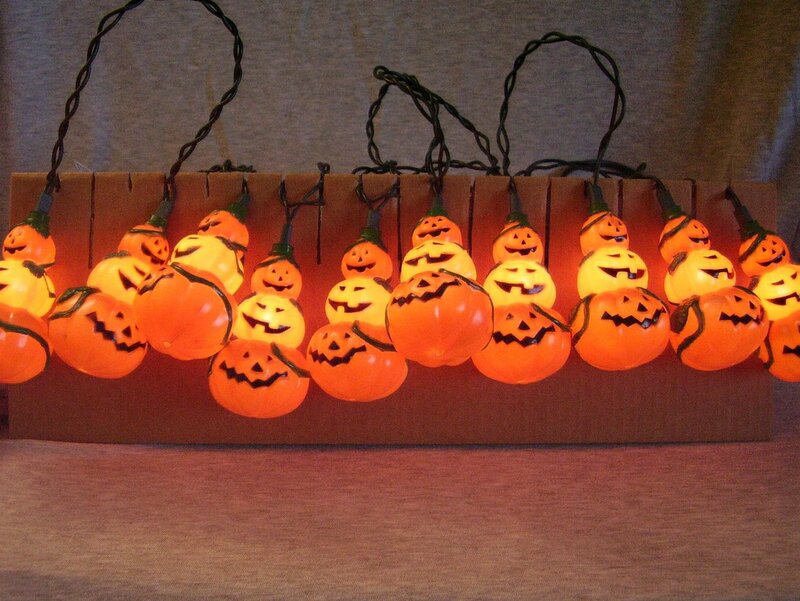 The 11 foot strand hold 10 of the hard plastic pumpkins. The stack of pumpkins snap on to the mini lights. Each pumpkin stack measure 2 1/4 inches wide x 3 1/4 inches tall. Obtained from an estate they are loose in their original box. No extra light bulbs included but are the generic easy to replace bulbs. For indoor/outdoor use.